What I am up to. 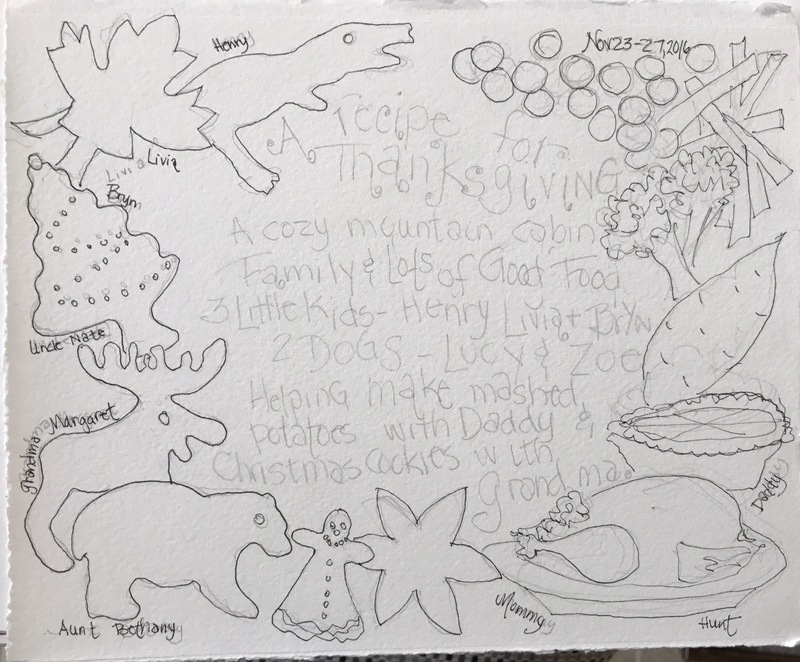 A Thanksgiving journal page. Can’t wait to paint this. I don’t usually start with pencil but I wanted to get everything laid out correctly with this page. I included activities we did like baking cookies which the kids loved and of course the big feast also all the attendees names. The cookies are the ones they cut out the most of. I tried to include at least one of all the adults favorite foods. Two out of three kids will eat anything we serve them. The center will be inked with some Bombay ink the rest will be watercolor. Check back for the finished page. Hopefully this afternoon but maybe tomorrow. Off to painting.